TORONTO -- The chief executive officer of an Alphabet-backed entity planning a high tech neighbourhood in Toronto revealed Thursday that mass transit might be the project's deal breaker. 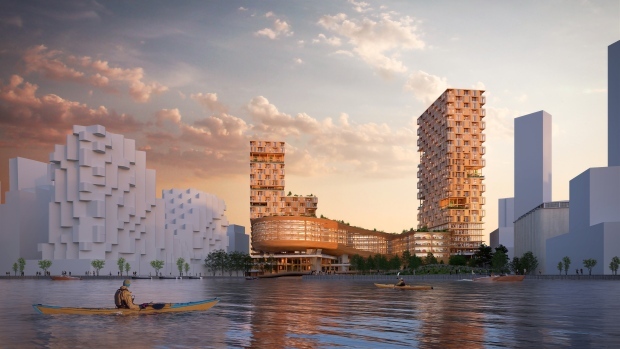 Dan Doctoroff of Sidewalk Labs told The Canadian Press in an interview that his company may lose interest in the project if transit to the area isn't built. "At the end of the day, if there is no light rail through the project, then the project is not interesting to us, to be perfectly honest," he said. "I think if we ultimately get to a place -- and we are by no means there and we remain optimistic -- but get to a place where we conclude that achieving the lofty ambitions that we and Waterfront Toronto and their government constituents have established for this project are not possible, then obviously we would be foolish to continue." Doctoroff's remarks about the project -- a partnership with Waterfront Toronto involving bringing affordable housing, heated sidewalks, raincoats for buildings and autonomous vehicle infrastructure to 12 acres of the city's waterfront known as Quayside -- come weeks after transit details were leaked to the media and were met with concerns and some calls for the project to be scrapped. In the wake of the leak, an Ontario government source, speaking on condition of anonymity because they were not authorized to discuss the project, told The Canadian Press the government was unaware Sidewalk Labs had such hopes and said "as it is written, there is no way our government would sign off on that plan." On Thursday, the Canadian Civil Liberties Association added to the heat by threatening litigation if the project is not "reset." Doctoroff indicated that he is aware of the developments and is not surprised by them because he feels they are a natural part of bringing innovation to a swath of land he has continuously painted as long being underdeveloped and "dramatically sub-optimal without the expansion of mass transit." He believes Sidewalk's funding can get transit built more quickly. Doctoroff said there are a "bunch" of other transit ideas that the company is open to exploring, but he is unsure which ones they could zero in on. And while he expected challenges with the project, he acknowledged the company's traffic analysis has unearthed some surprises. "We weren't aware of the mobility issues and how severe they are," he said. "We didn't know enough about the site a year ago or more than a year ago." 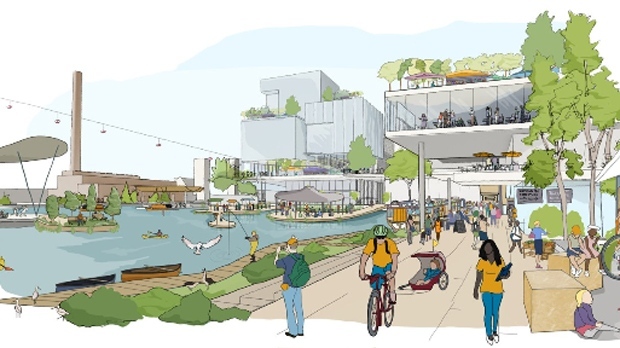 In emails to The Canadian Press on Wednesday, spokespeople for the provincial and municipal governments stressed their commitments to transit in general, but also noted that Sidewalk Labs' proposal has yet to be approved by any level of government. Aside from transit, Doctoroff also opened up about how the project is faring with potential partners, whom the company has long said it would be open to working with, despite being willing to fund and build the project itself if it can't find companies to collaborate with. "We have had a lots of expressions of people who would like to invest alongside of us," he said. "We at most expect to develop 10 to 15 per cent (of the project). That is what we think is necessary simply to prove to others that what we are talking about makes sense. We are prepared to take that risk, but I think others are prepared to do that with us." Doctoroff also discussed one of the project's most controversial issues: data. Quayside watchers have long worried about the large amounts of information that could be collected through phones, sensors and other devices used in the neighbourhood. Sidewalk Labs hasn't said what data could be collected in Quayside, but Doctoroff said people in the neighbourhood will likely be able to opt out of having their data shared for "some things." "The issue with data in public space is it is very hard to get people to opt in or opt out because you just don't know who they are and they are moving through," he said. "Therefore, our belief -- and it will have to get approved -- is that is a public policy question that ultimately needs to be interpreted by this independent trust." "We just want to earn a reasonable return," he said. "Our primary objective here is we want to create something that is great."